This report takes stock of discussions held between academics and country practitioners during a series of seminars organised in 2017 by the OECD and the European Commission that focused on opportunities to improve the design and delivery of regional development policies. What can governments do to enhance economic development in regions and cities ? What lessons can be drawn from theory and practice to ensure public spending and investments contribute to regional development as effectively as possible ? At a time of increasing pressure on public finances it is paramount to enhance the effectiveness of regional policy governance instruments to add value to public spending and investment.Bringing together frontier economic theory and country practices regarding performance frameworks, financial instruments, policy conditionalities, contractual arrangements and behavioural insights in regional policy, this report identifies cross-cutting lessons to help policy-makers manage common trade-offs when designing public expenditure and investment programmes for the development of regions and cities. 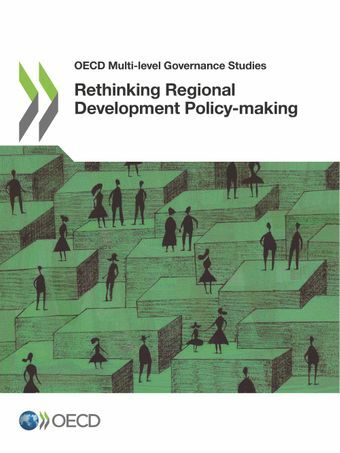 The OECD and the European Commission Directorate-General for Regional and Urban Policy launched the report “Rethinking Regional Development Policy-making” on 19 March 2018 in Brussels. The launch event provided the opportunity to discuss the recommendations of the report with representatives of the EU institutions, experts from Member States and other OECD countries and academics. In 2017, the OECD and the European Union organised a series of seminars at the OECD Headquarters in the context of an EC-OECD project “Designing better economic development policies for regions and cities”. The final report Rethinking Regional Development Policy-making takes stock of discussions between academics and practitioners during these seminars. 31 March 2017: Seminar on "Performance indicators"
For further information or comment, please contact Dorothee.ALLAIN-DUPRE@oecd.org or Isidora.ZAPATA@oecd.org.